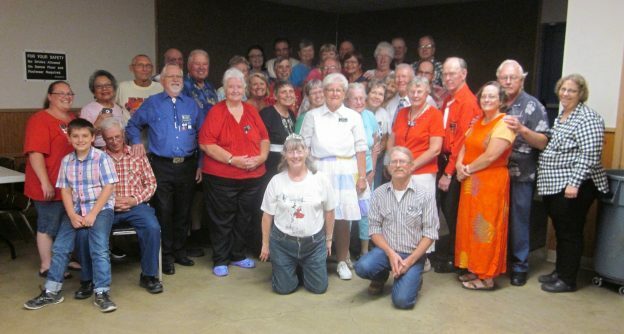 July 26, 2018 – Wadena Whirlaways “Beach Party” Square Dance, Wadena, Caller Abe Maeir, Cuer Donna Stone. Four squares with dancers (see photo above) County Line Squares, Friendly Squares, Rays Promenaders, and Wadena Whirlaways were present. Also present were County Line Squares Queen Gael and King Doug, SDM Chair LeRoy Elfmann, SDM Vice Chair Linda Brotherton, and SDM Secretary Gael Zachman. This entry was posted in Activities on July 28, 2018 by LeRoy.